Thousands of protesters has called on president Jovenel Moise to step-down, the furious protesters has expressed that since he assume office in 2017 that the economy has been mismanage and running a government that does not care for youth. President Jovenel Moise assumed office on 2017 with an agenda of ending corruption and bring change reacted to the protesters request that he will not resigned rather vows to end the economy crisis. 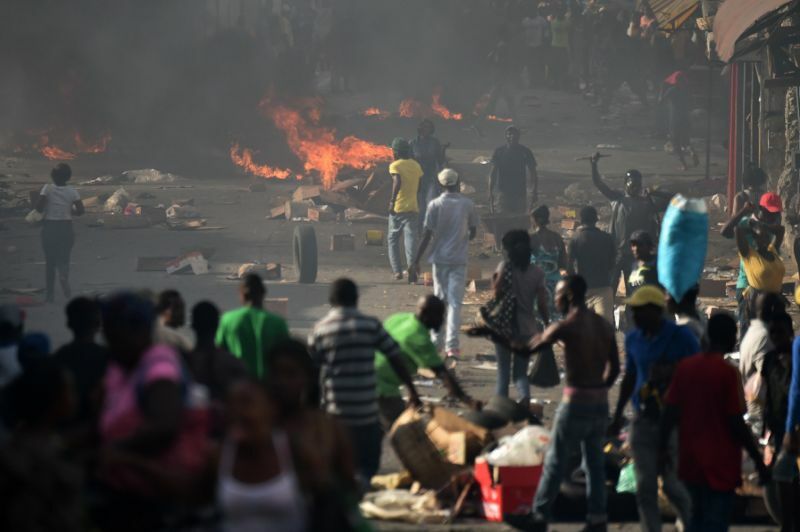 The protesters took to the streets in the Haitian capital, Port-au-Prince,expressing that they are tired of the current system by destroying properties and turning the street to a battle field. Source stated that more rallies planned in the coming days, the standoff has plunged Latin America’s poorest nation into political chaos.